No human knows Mount Everest as well as Apa Sherpa. That's because no man has climbed the mountain as many times as Apa has, for which he even got a nickname — Super Sherpa. Three years ago, he extended his own world record by making 21 successful ascents to the highest point on Earth. Since 1990, Apa has climbed Everest every year except 1996 and 2001, scaling the summit twice in 1992. After the avalanche on Everest that killed more than a dozen Nepali mountaineering guides last month, Apa says the Everest should be left alone. In an interview with the Salt Lake Tribune, he said that the mountain needs to rest and that people can always try climbing it next year. We asked Apa six questions on his ascent to the summit, the challenges that mountaineers face and why Nepal's government and the mountaineering community should pay attention to the Sherpas' plight. Washington Post: What made you keep wanting to go back to Everest? 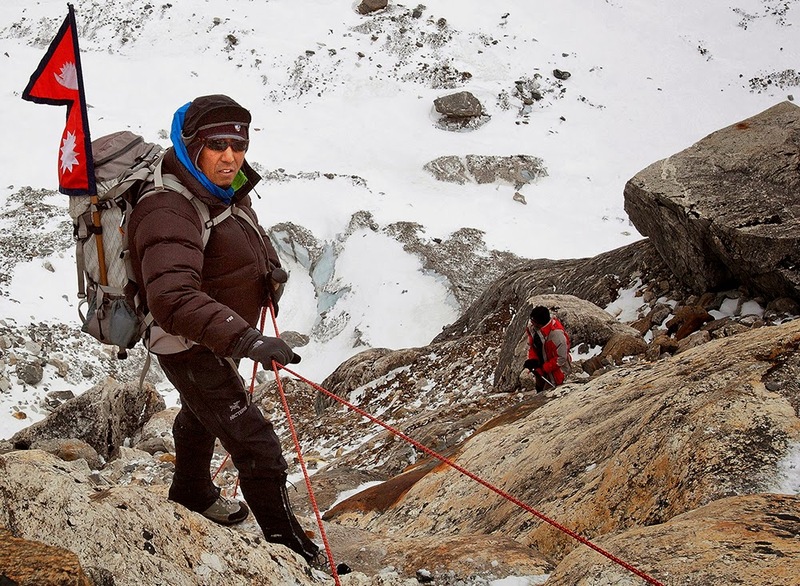 Apa Sherpa: Climbing the Everest is a routine for Sherpas like me. We are way behind in education. There are no other options to meet our most basic of ends. So, regardless of all the risks involved in climbing the mountain, the Sherpas do it. It was same in my case as well. People climb Everest once in a lifetime to experience the adventure. Things are different for us. We keep on climbing more than once because we have to do it. I climbed the Everest the first 16 times to support my family. I took my children to the United States for their education. However, besides my need to support the family, I wanted to do something for the country. So I collected funds in America under the Apa Sherpa Foundation and in Nepal under Eco Everest Expedition. After this, I increased the number of my expeditions from 16 to 21. In 2008, I started a campaign to encourage the climbers to bring back their wastes along with them. I retired after I climbed for the 21st time. Since then, I have been working under my foundation in the education, health and environment sectors. My heart aches when Sherpas, who carry luggage twice their own weight, lose their lives. Washington Post: What was the biggest difference between the time when you first climbed the peak and the time you last climbed it? Can you describe the emotions, physical challenges you had to go through? Apa Sherpa: It's never easy to scale the Everest. But the technologies that have changed now have made things different. When I started climbing in 1990, all we had in the name of technology was a short-range walkie-talkie. We had no Internet, and we had no access to weather reports. Since 1990, I have climbed Everest once a year. I climbed it twice in 1992, and I did not climb in 1996 because my family requested me to stay at home that year as we were building a house for ourselves. The only major difference we have now while climbing the Everest is weather. We can now buy weather reports from America, Switzerland and India, among others. Such are our advancements in technology that I called my family in America from the summit in 2011. That said, it's never easy to climb. Earlier, there used to be more snow on Everest. Now lesser snow on the ice-rocks means higher chances of falling. Even the high human traffic creates problems today. For instance, we have to wait at the Hillary step if the traffic is too high up there. This may result in shortage of oxygen, and the risks of sustaining frostbites are very high when you are running out of oxygen. Washington Post: As a Sherpa who has led Western climbers to the summit, what is the most challenging part of your job? Apa Sherpa: Westerners climb the Everest for adventure — only once or twice. On the other hand, Sherpas have to do it all over again and again. While the Westerners cross an icefall four or five times at most, the Sherpas have to do it over 15 to 20 times, fixing the ropes, making camps and transporting luggage. It is the Sherpas who do all the hard work, and the Westerners take the credit to have reached the summit successfully. Some Westerners even put pressure on the Sherpas to do it faster. But the Sherpas never accept such pressure. While we make them climb, we take entire responsibility for their safety, just like parents take care of their children. Washington Post: Why do you think the government didn't address issues of compensation, safety and insurance for all these years? Was there an effort to push the government to compensate the Sherpas the money they deserved, especially when they were charging $50,000 for a climber to scale Everest? Apa Sherpa: The government should not turn a deaf ear to the demands of Sherpa guides. If a Sherpa, who is the sole breadwinner of his family, dies while at work, who will feed the members of his family back home? The compensation provided by the government for victims of the avalanche is hardly enough for the funeral, and we cannot deny these fallen guides proper last rituals. The government has also not adequately focused on those who survived the catastrophe. There have been a couple of deaths before every few years. But the death of 16 people at once was really saddening. This is the biggest grief in our community. The Sherpas have never demanded anything too big. I think this is the main reason why their plights have always been overlooked. This time, the government has to pay some heed to our problems. There is no way out. Washington Post: Can you talk about why it is so important to help the Sherpa guides? Do Sherpas have other options to meet their needs for livelihood? Do Westerners have other options? Apa Sherpa: The Westerners do not have any other options than the Sherpas. In this particular field, the Sherpas have contributed immensely to introduce Nepal to the world. But what good will the mountains be if there are no Sherpas? The government should recognize the hard work they do. 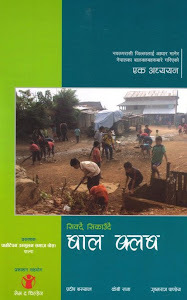 Most of these guides do not have other options and have to work under any circumstances, as they are mostly uneducated. But if these young Sherpas have access to education, they can take on new professions. This is exactly why I started the foundation, to help the Sherpas find new avenues in life. Washington Post: What are some of the things you think need to change to make Everest climbing a safer, more environment-friendly activity? Apa Sherpa: I don’t have any idea what safety on Everest would look like. Nobody knows when the avalanche is going to come down sweeping from the rocks. What rules can we make about the icefall? It is natural and is going to happen again and again. There is nothing like avoiding risk on Everest. It is very difficult to say how to tackle the problems you may face. Even the noise of choppers can break ice into pieces during rescue operations. But rescue is not possible without a chopper. There are always pros and cons to everything, and Everest is not an exception in this case. We had started our endeavors to clean Mount Everest back in 1995, but not as a campaign. Before that, there were hardly any rules set to keep the mountain clean. So, everyone left their garbage under the snow. In 2000, a friend in California and I raised funds and carried 632 oxygen cylinders down from Camp 4. We carried a total of 7,055 lbs of waste materials down from the mountain back then. That was the biggest cleaning campaign we had on Everest. Later, it was followed by others. In 2008, we carried 30,800 lbs garbage down the mountain under the Eco Everest Expedition. That is when my name was written in the Guinness Book of World Records for not just scaling the Everest 21 times but also conducting the largest ever cleaning campaign on the summit. Now, the government has made it mandatory for the tourists to deposit $4,000 before heading out on an expedition. A climber has to bring at least about 17 lbs of waste from the Everest. They get their deposits back only when they bring back their wastes. This is a rule that is laudable. Watch a short documentary on Apa Sherpa, the man Westerners refer to as the Michael Jordan of Mount Everest climbing.